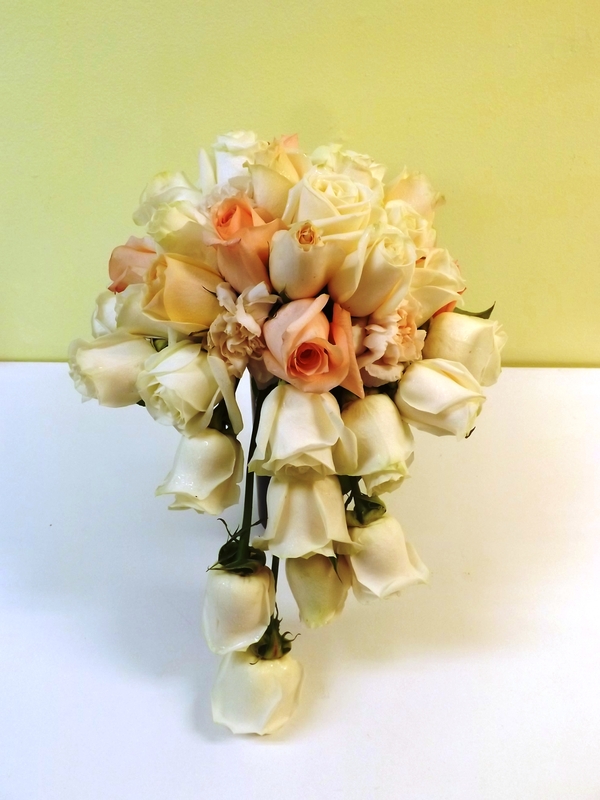 A few Days Ago I wrote about some Bridal Bouquets that I made . 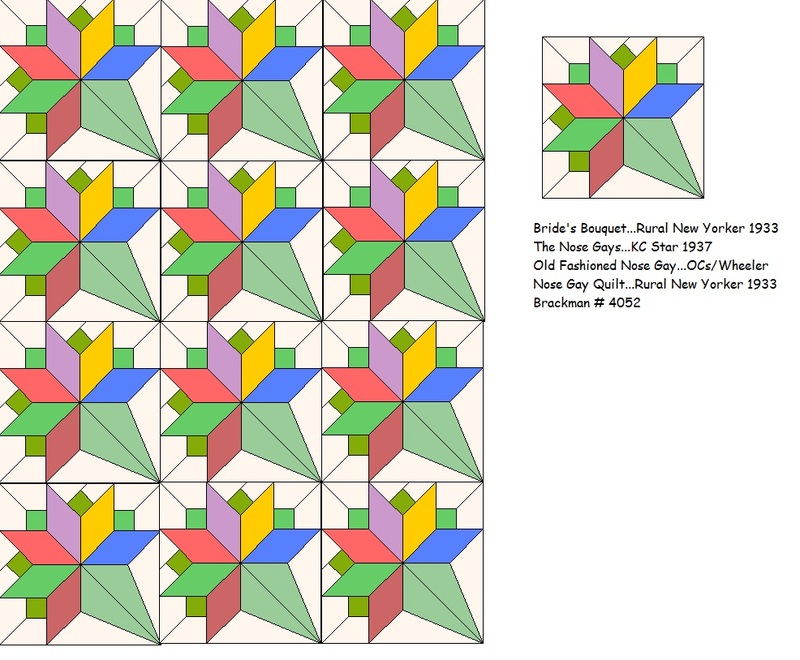 I was reminded that there is a quilt pattern from the 30’s called Bride’s Bouquet. It is also called The Nose Gay. You may not be surprised to know that I have a quilt top in my collection in this pattern. 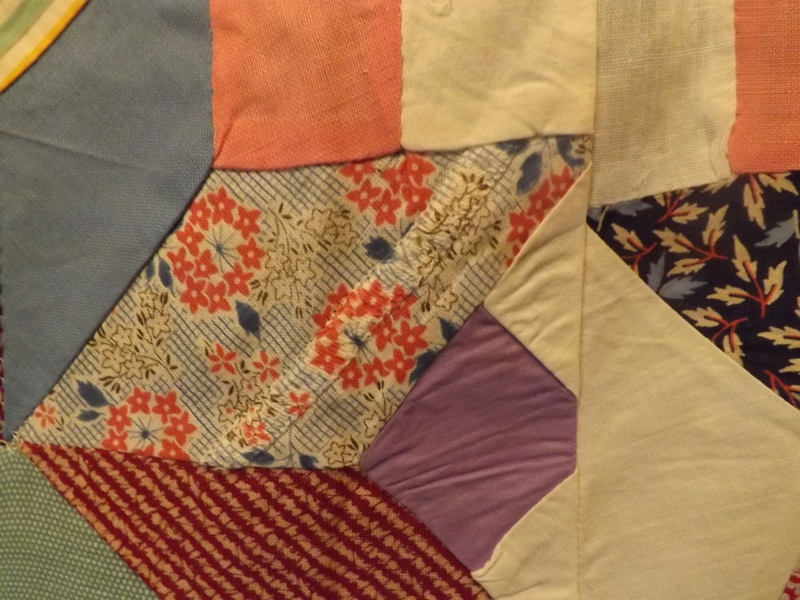 When I bought the quilt the blocks were arranged differently, they were placed together so that they looked like complex stars. 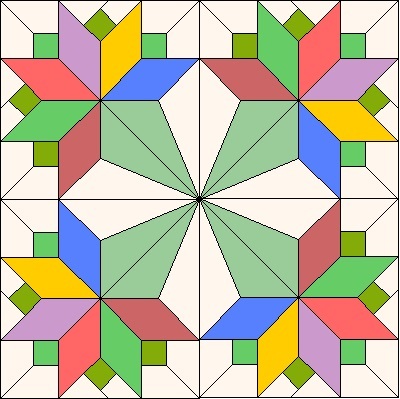 The most traditional setting is with the blocks set on point as in this example from the quilt index. The blocks are also usually made with all the bouquet handles in the same color, usually green as in this example. Mine were all different, and I took them all apart and set them back together like this. It also has an ice cream cone border. The finished size is 80″ x 90″. I had planned to quilt this right away, and then new projects kept piling up on top of it and I forgot all about it. This entry was posted in Quilts and tagged bride's bouquet quilt block, nosegay quilt block, Quilt top, Quilts, vintage quilt top. That is truly beautiful. Thanks for sharing and for the Mother’s Day wishes. It will be a great one to see what you do with it! HAHAHA….you know me too well! Oh, what fun to view these quilts! Swooooon. 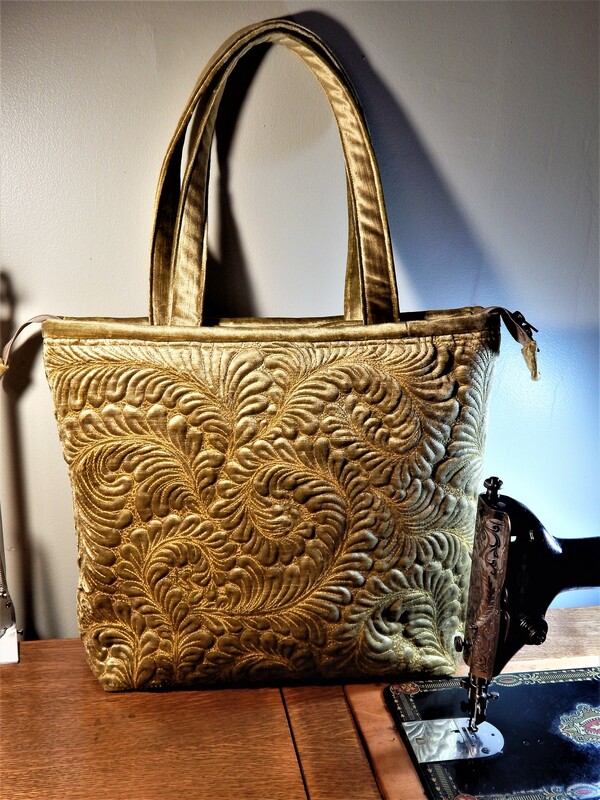 Those fabrics — some are just picture pretty ’30s, but aren’t some of them from different decades? Interesting. Very cool that it came with the ice cream cone border. 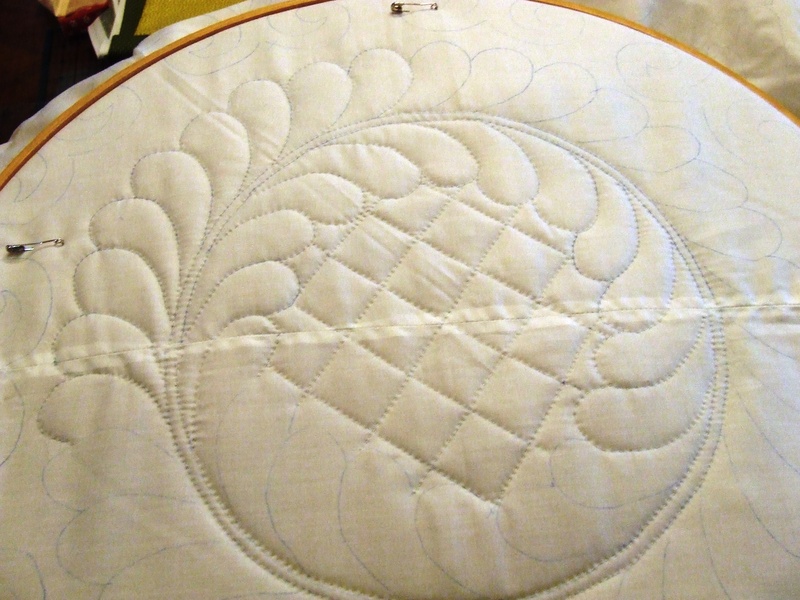 And interesting to think of quilting pattern — the cone border with the only curves versus the strongly geometric flowers. How to make it luscious? Interesting. I know you’re a man for a quilt top bargain, but it’s hard for me to imagine you getting something this nice for a good price. But I’m confident you did. Yes, it does look slightly scrappy — adds interest. And I can understand that others didn’t spot the (beauty of the) actual block pattern — much like on HGTV when the young couples who walk into rooms in houses they are considering buying and are put off by the current paint color. This always prompts us to yell at the TV screen, It’s just paint, it can be changed! Probably there were many who couldn’t see past the setting of the nose gay blocks. It also strikes me, from all your posts, the physics of piecing — very complicated (I’m sure your quilting fan base would chime in on that). How wonderful to hear that!…thank you!! Lovely thought to go with a lovely quilt and sweet man. Thank you. What fabulous blocks with so much variety in fabrics! I pieced some of these blocks recently but cheated with construction and used hst’s :0) I look forward to seeing how you quilt this one. thanks for all your wonderful informative postings. 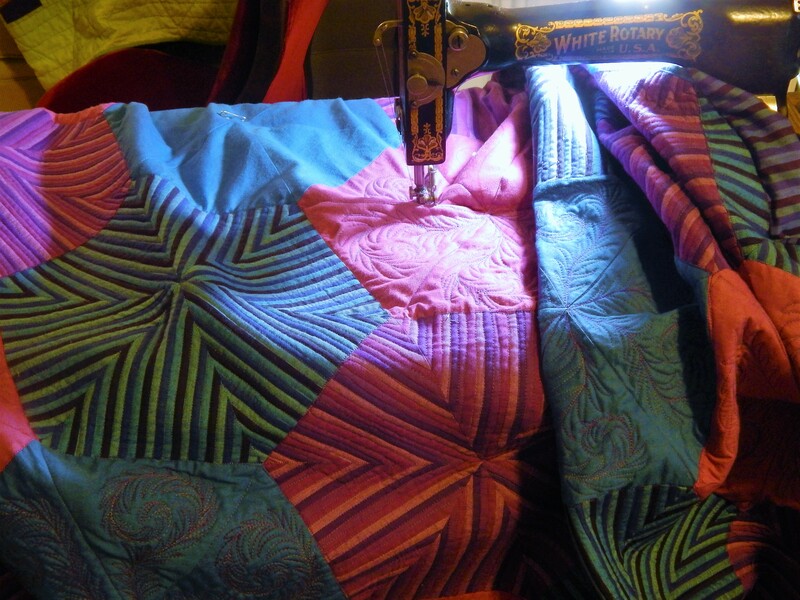 This nosegay pattern when joined together end tip to end tip makes a fabulous secondary pattern and is an optical illusion, which you may recall I love having written the book Quilts of Illusion, I would have loved to publish that version. Tim, on average, how many full size quilts do you quilt up in a year? 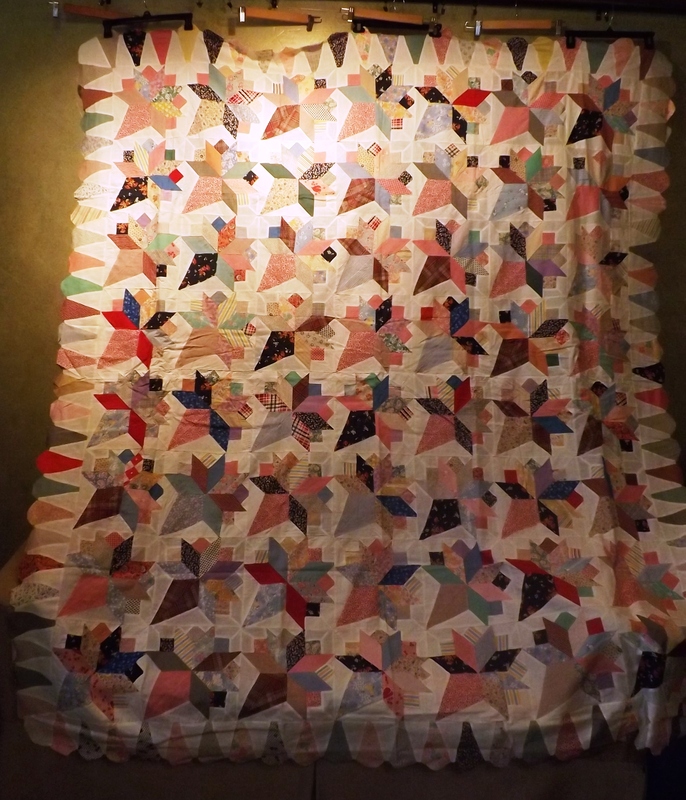 When I read that you took this quilt apart and reset the blocks my jaw dropped! But then I realized whose blog I was reading, Hehehe! You are a very ambitious quilter and my hat’s off to you. I have to ask, how do you get so much done? I mean I am a stay at home empty nester and I am lucky if I get to quilt 4 hours in a day. I guess I am green wishing I had even a thimble full of your talent an energy. Beautiful work, keep it coming!! Lovely post Tim. 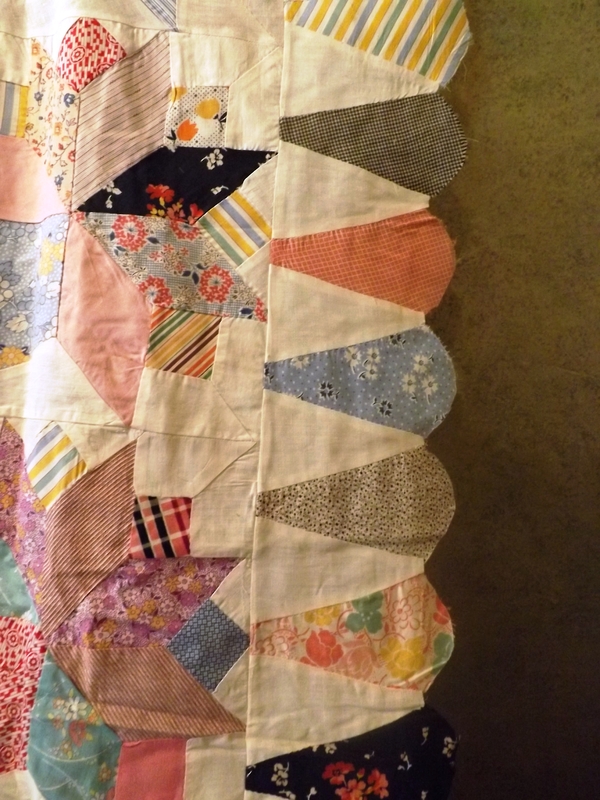 I so enjoy the fusion of history and quilting. 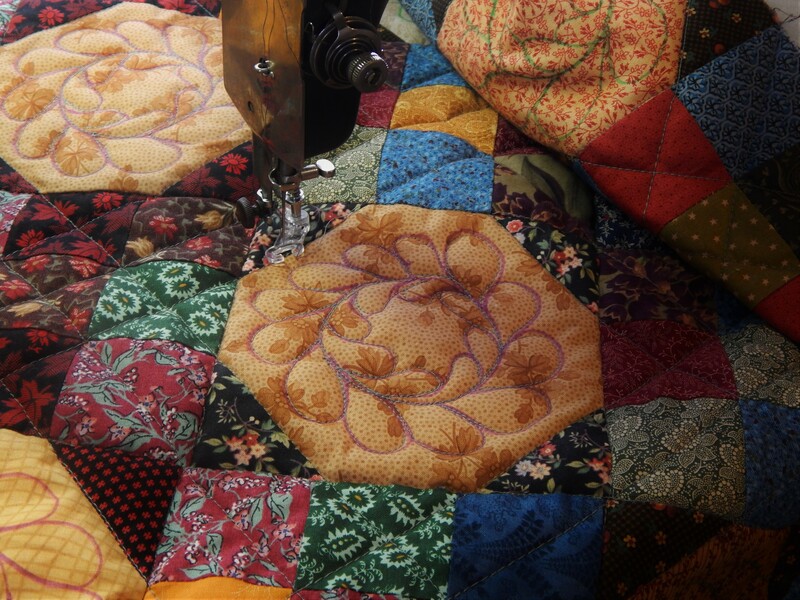 You really should consider getting the quilt quilted – if not by yourself then by somebody else. It is a work of art. 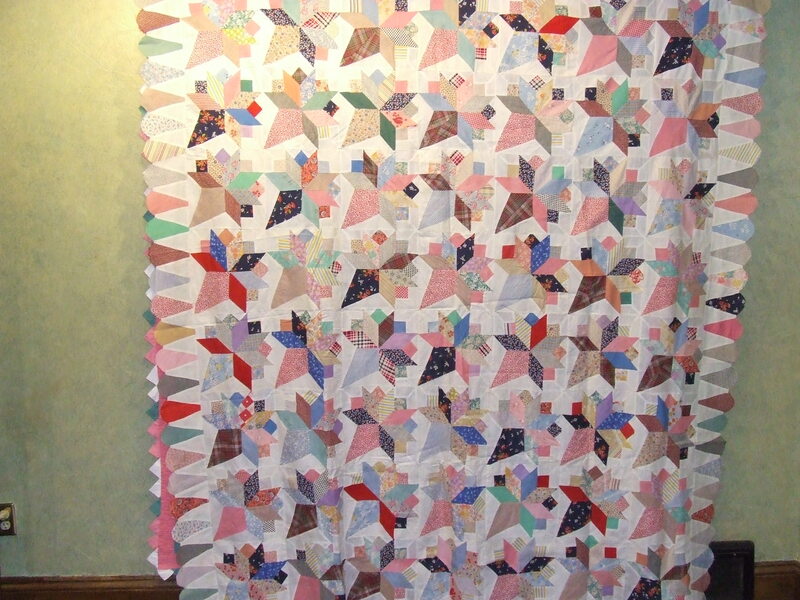 How many quilts do you estimate to be in your collection?